Bolivia is one of the few countries left on the planet where you can escape into a fascinating culture, meet locals untouched by the western world, and experience awe-inspiring scenery. From the magnificent salt flats of Salar de Uyuni to the majestic Lake Titicaca, Bolivia combines the charm of the old world with pretty colonial towns to offer travellers a unique glimpse into the life of these gentle people and the stunning landscapes in which they live. This wonderful 14-day tour of Bolivia highlights the beautiful cities of La Paz and Sucre, the famous mining region of Potosi, the Salt Lake of Uyuni, Sun Island on Lake Titicaca, and takes us off the beaten trail into the National Park of Amboro. 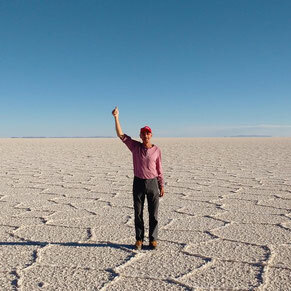 Our Bolivia Highlights tour was specifically designed to coordinate with itineraries in Peru, Argentina and Chile, and so it’s the perfect ‘mix and match’ option for adventurous travellers. 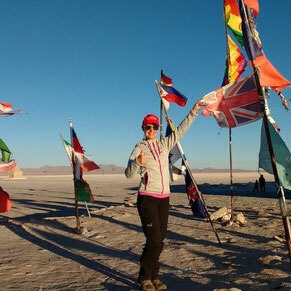 Including visits to La Paz, Salar de Uyuni, and Santa Cruz, this 7-Day trip includes all accommodations, flights and excursions, and its available for departure on any day of the year.